I honestly have no words. I am still processing the life and death of David Bowie, and then this morning I saw it pop up on Facebook. I was trying to confirm it before I said anything to Pip, but then it downed on me: the news was just breaking. Alan Rickman, star of stage and screen, had died of cancer at 69. Identical to David Bowie. 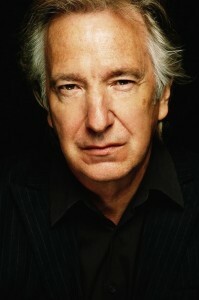 I’ve been a fan of Alan Rickman’s work for decades. He raised the bar for villains in Die Hard, and sure, that’s what everyone knows him best for; but I still recall watching him in Sense and Sensibility and thinking, “This is Hans Gruber…and this time, he’s totally stealing this movie!” As I recall, Sense and Sensibility was marketed more as a vehicle for Emma Thompson and Hugh Grant. The movie also gave Kate Winslet a lovely introduction to American audiences. It was Rickman’s Colonel Christopher Brandon, though, that completely won over hearts everywhere. Any movie Rickman appeared in could be promised at least one solid performance; and when you read his biography and see the amount of accolades he received for his work over the decades, it’s no surprise whatsoever as to why we loved him. This is really too much. I’m at a loss. 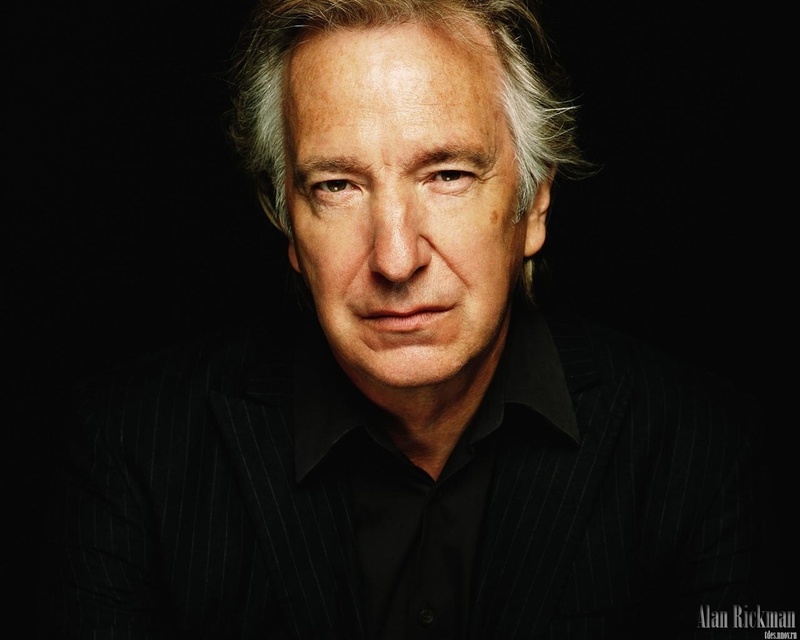 I wish I had known Alan Rickman. I wish I could have bought him a beer and nerded out a bit over Harry Potter and William Shakespeare with him. I wish I could have shared a laugh over how he spoke to me, the professional actor, with his performance in Galaxy Quest as Sir Alexander Dane: “Well, you’re just going to have to figure out what its wants. What—is—its—motivation?” I wish I could have just said “Thank you” for every performance he blessed the screen with. In his own words, we all got to know him. I narrowed down what I believe were his definitive roles on screen, in that collage above. My tribute do not even begin to represent the incredible body of his work, but these were my favorites. Please, feel free to share your own in the Comment section below. You might be wondering, on looking at my modest tribute, what the image in the top-right corner is from? Another reason why I loved Alan Rickman so much is we shared something in common: We didn’t always take ourselves too seriously. 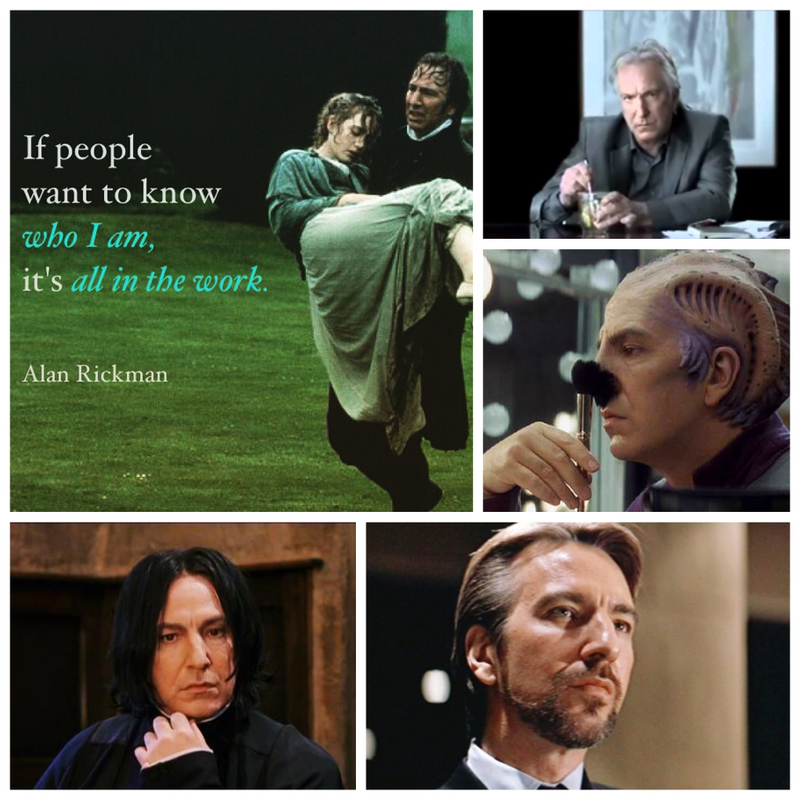 The image in the top-right is a short film where Alan Rickman was featured taking tea time to the next level. This is a special memory for me, Pip, P.C. Haring, and Alyson Grauer. You see, at DemiCon 25, Pip, Aly, and I were hosting the “Epic Tea-Time with Alan Rickman” panel. There was a rumor (not started by us!) floating around that Rickman was going to be attending the panel with us. (P.C. was totally convinced!) It turns out, as Fate would have it, he did. In a manner of speaking. We kicked off our steampunk tea panel with this short film, Severus Snape himself setting the tone for what was a Standing Room Only event. It was the only time I ever got a chance to share a stage with Mr. Rickman, and you know what—it was pretty damn epic. Thank you, Alan. By Grapthar’s Hammer, you shall always be remembered and loved.